Two new releases tanked and The Predator took a nose dive from 1st place, however The House with a Clock in Its Walls exceeded its opening weekend expectations to take the top spot on the September 21-23 box office chart. Moviegoers all but ignored both Life Itself and Assassination Nation over their first weekends in theaters. In fact, Life Itself now has the dubious honor of snagging second place on the worst opening weekend chart for films opening in 2,500+ theaters (according to Box Office Mojo). In an otherwise dismal weekend in theaters, The House with a Clock in Its Wall was the one bright spot. The PG-rated, kid-friendly fantasy film rang up $24 million while earning positive reviews from paying audiences (a B+ average on Cinemascore). Budgeted at $40 million-ish, The House with a Clock in Its Walls currently sits at 68% fresh on Rotten Tomatoes. Up next: Lionsgate’s getting an early jump on Halloween with the horror film Hell Fest launching in theaters on September 28th. Fans of Tiffany Haddish and Kevin Hart will be able to check out Night School also on September 28th. However, House‘s biggest competition for family audiences will come from Warner Bros Pictures’ animated comedy, Smallfoot. 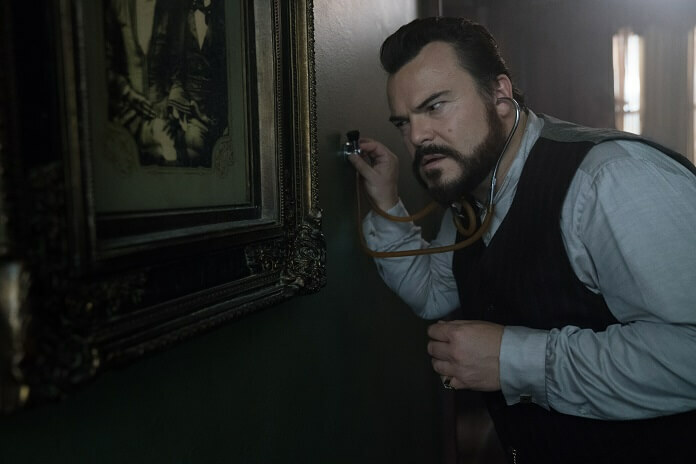 The House with a Clock in Its Walls Plot: In the tradition of Amblin classics where fantastical events occur in the most unexpected places, Jack Black and two-time Academy Award winner Cate Blanchett star in The House with a Clock in Its Walls, from Amblin Entertainment. The magical adventure tells the spine-tingling tale of 10-year-old Lewis (Owen Vaccaro) who goes to live with his uncle in a creaky old house with a mysterious tick-tocking heart. But his new town’s sleepy façade jolts to life with a secret world of warlocks and witches when Lewis accidentally awakens the dead.